When seeking pain management Roswell, Georgia, patients trust Alliance Spine and Pain Centers for non-surgical pain management and regenerative medicine treatment options that provide life-changing relief. Alliance Spine and Pain Centers offers pain relief through clinically proven, minimally invasive procedures in their conveniently located, state-of-the-art surgical facilities throughout Metro Atlanta. Specializing in Interventional Pain Management, our board-certified physicians follow strict guidelines and take into consideration the needs and goals of each patient to develop individualized treatment plans designed to alleviate pain and avoid invasive surgical procedures and opioids whenever possible. Using a patient-centered approach to healing, our compassionate and experienced physicians take the time to listen to each patient’s concerns and expectations, determine the activity and lifestyle goals desired, and seek the underlying cause of the pain before embarking on a course of treatment. Instead of relying upon pain management treatments that simply mask pain, our objective at Alliance Spine and Pain Centers is to discover and treat the source of pain, while improving mobility, restoring overall wellness and quality of life, and returning patients to normal function. As the largest pain management practice in the Southeast, Alliance Spine and Pain Centers utilizes our vast experience to end back pain and return our patients to their active lifestyle. 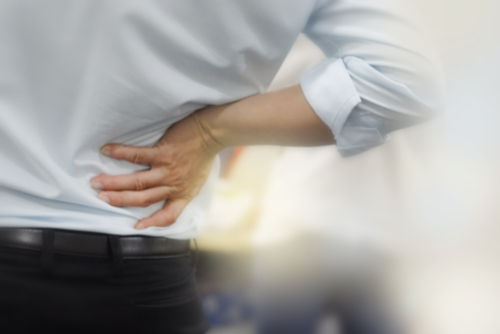 Using the latest spine pain management and innovative regenerative medicine treatment programs, which include interventional pain management and minimally invasive procedures, our patients achieve pain relief in a manner that enables them to return to the activities they enjoy. Alliance Spine and Pain Centers in Roswell, Georgia, at 1295 Hembree Road, Suite 101 Roswell, GA 30076 wants to be your first choice for pain management, spine pain management, and regenerative medicine, and your partner in your return to wellness, an active lifestyle, and a pain-free life. Call us today at 770.929.9033, or visit our website to learn more.